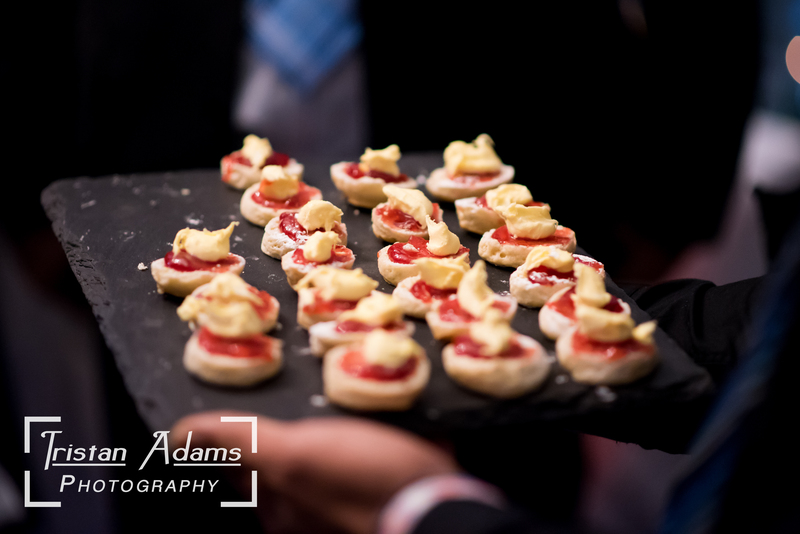 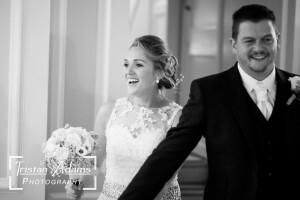 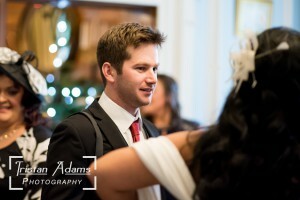 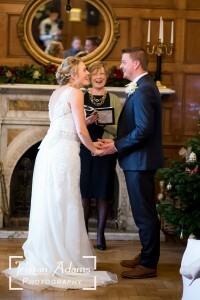 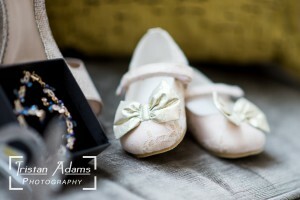 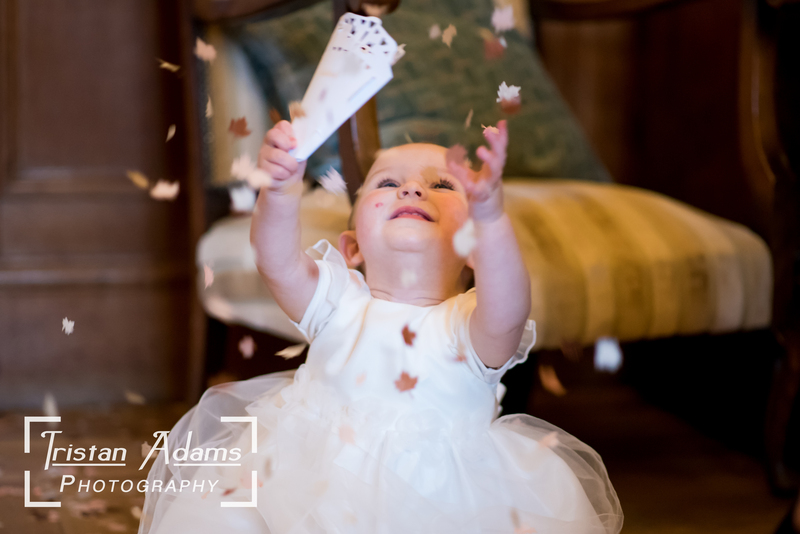 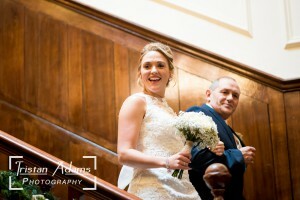 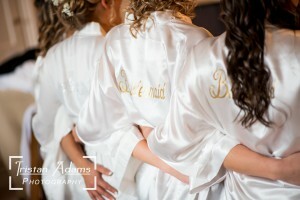 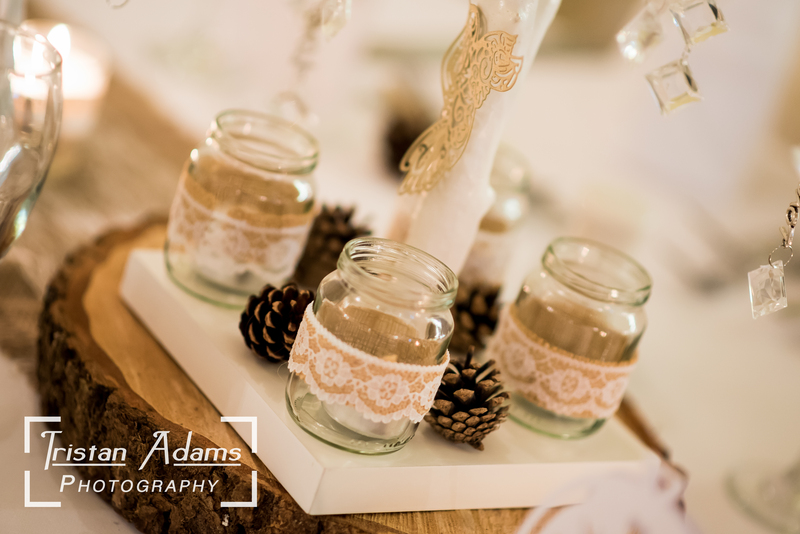 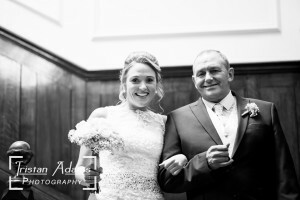 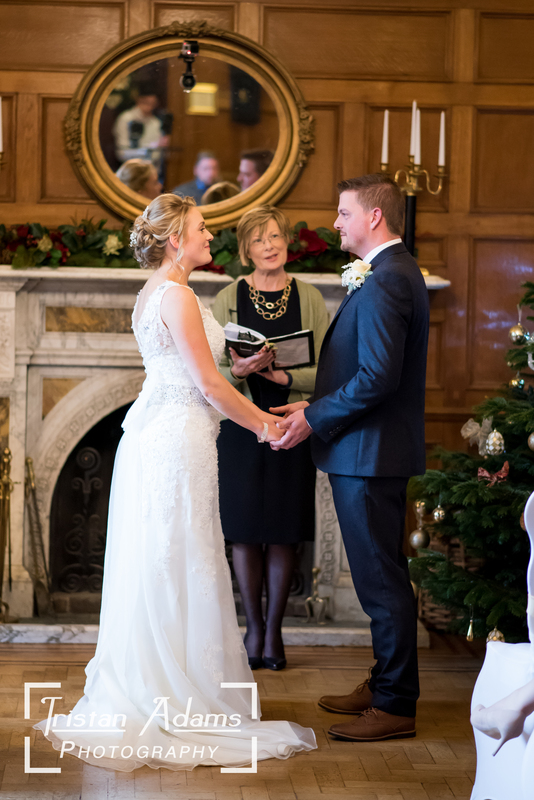 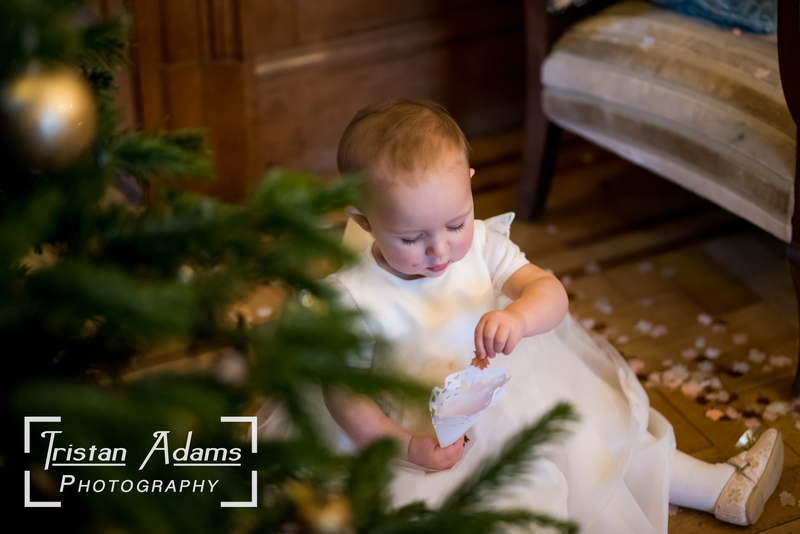 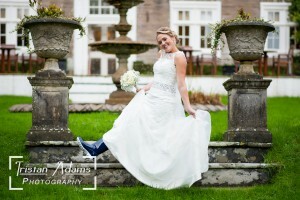 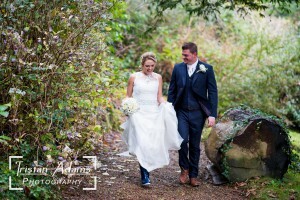 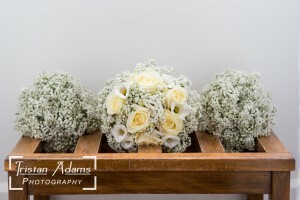 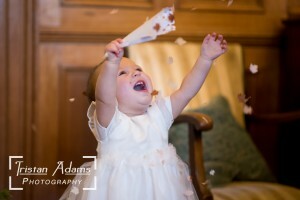 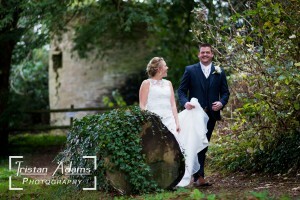 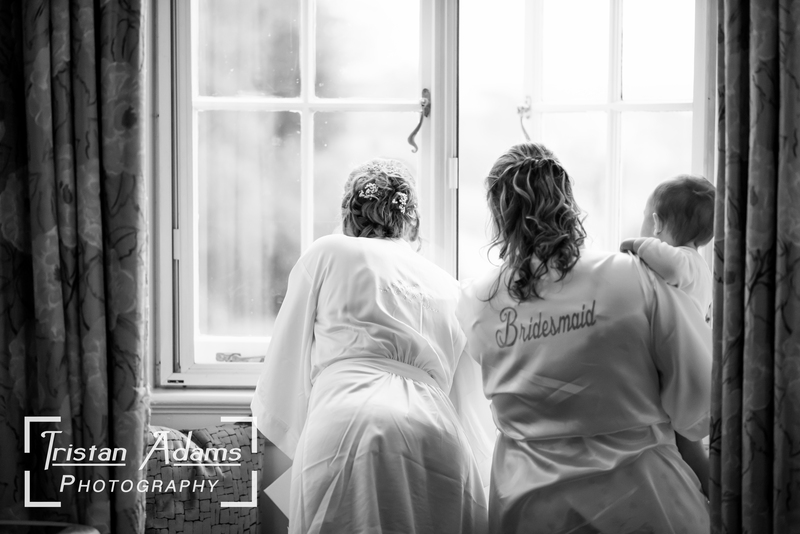 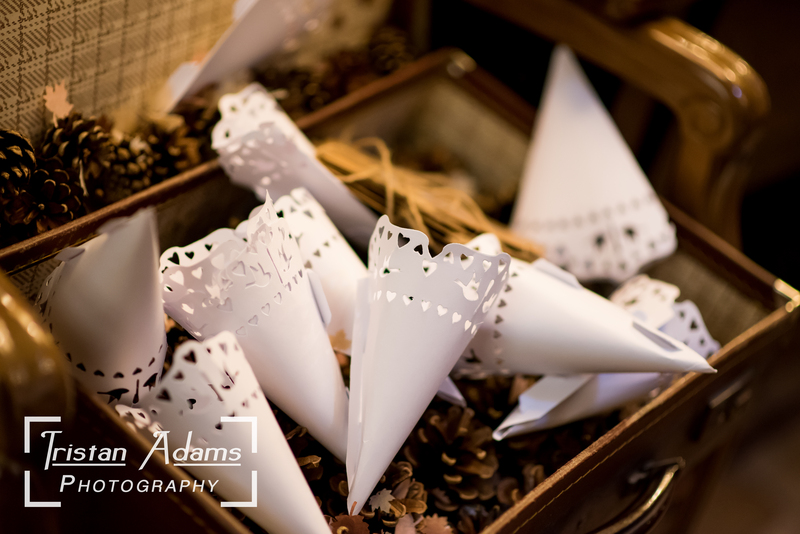 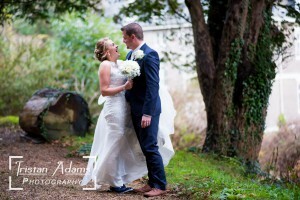 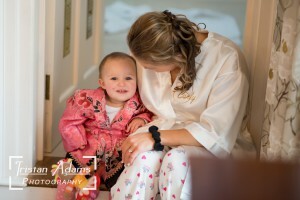 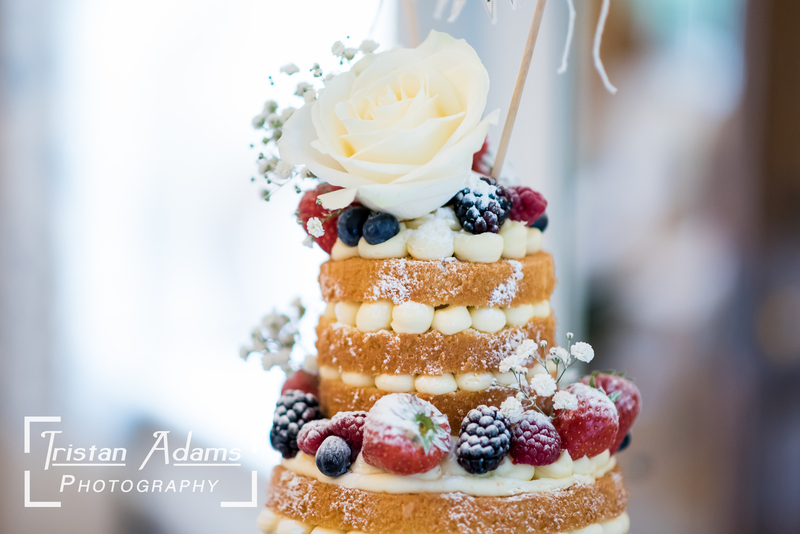 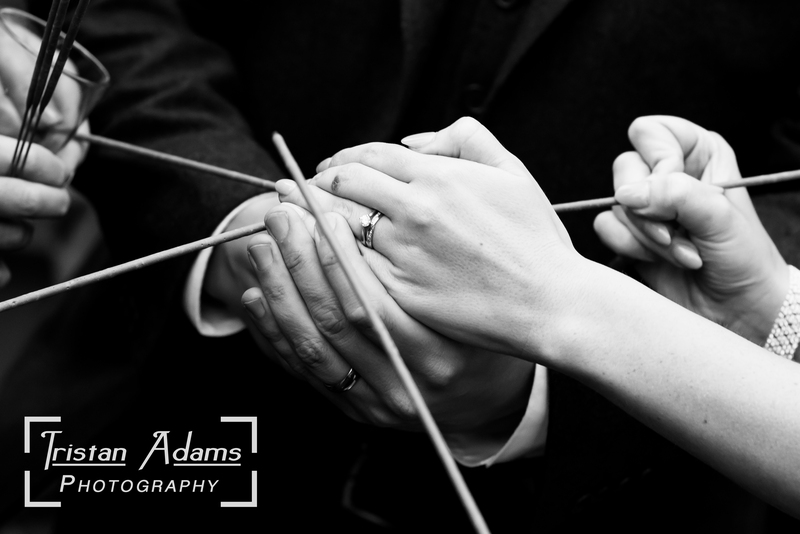 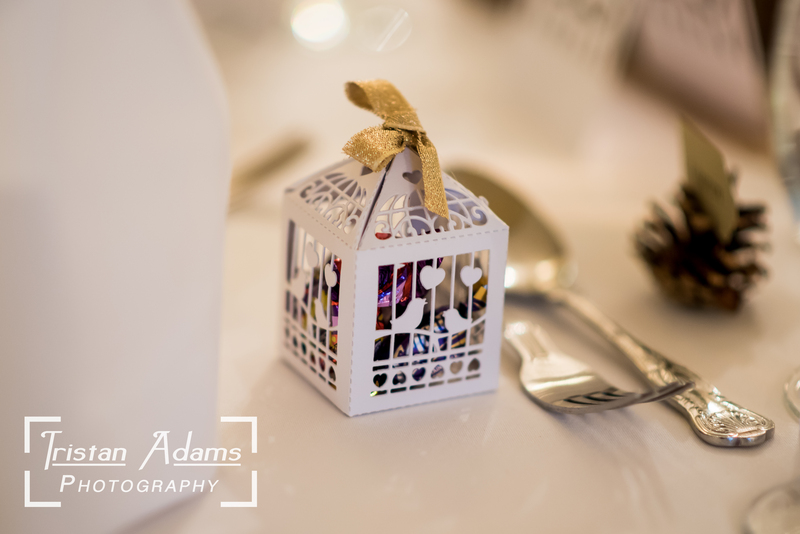 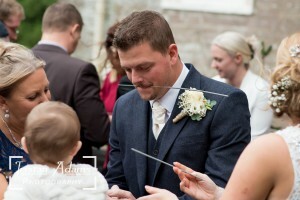 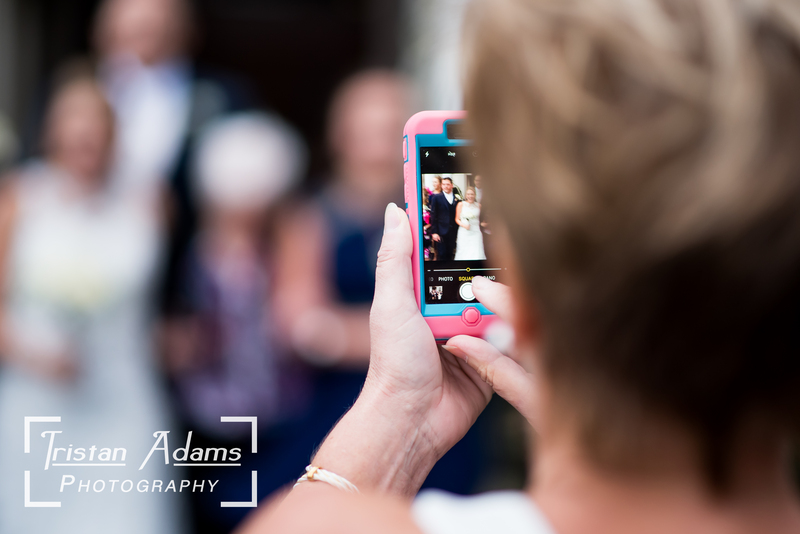 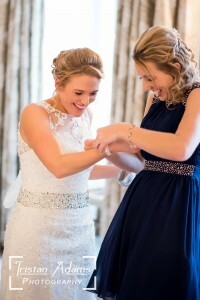 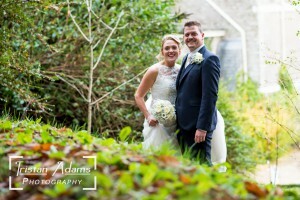 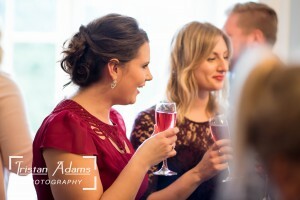 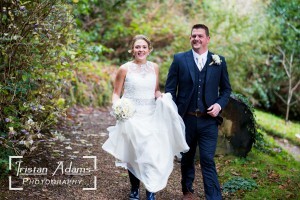 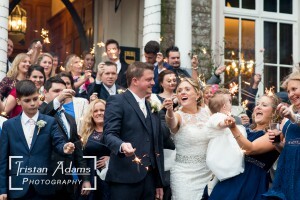 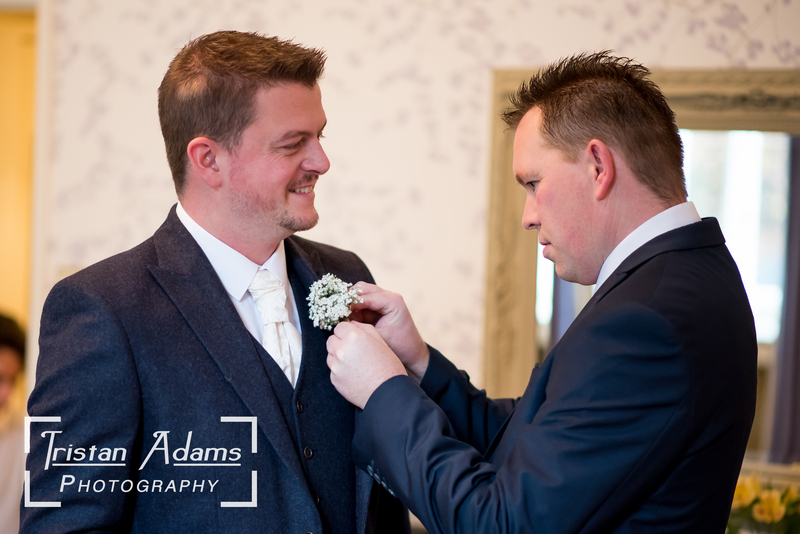 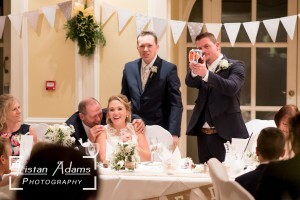 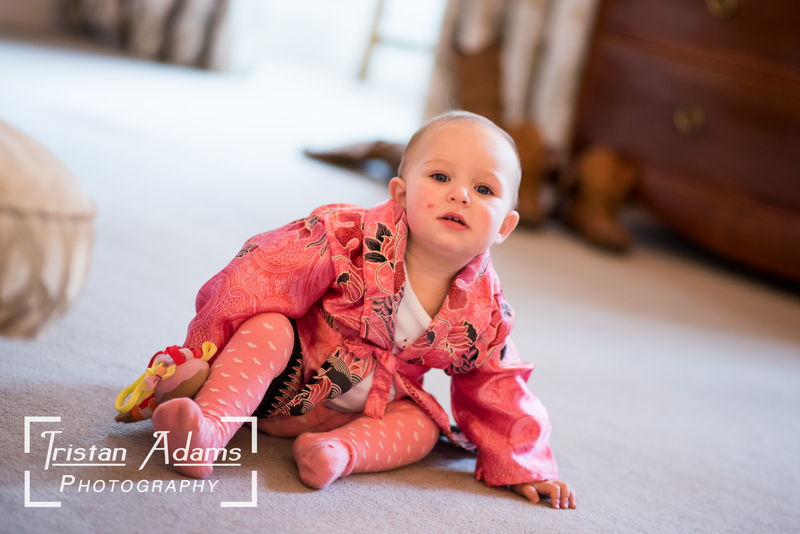 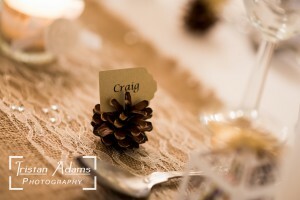 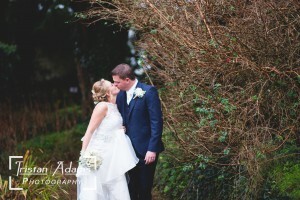 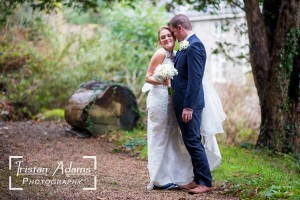 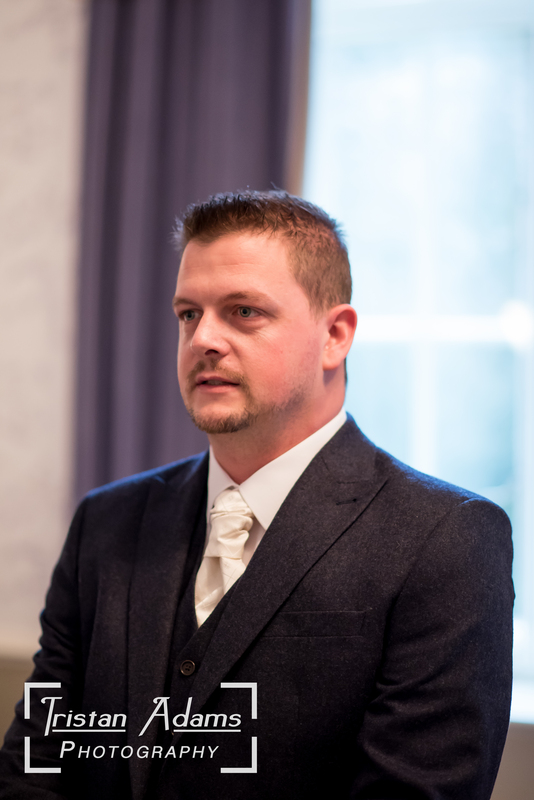 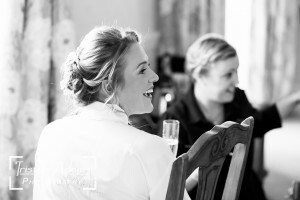 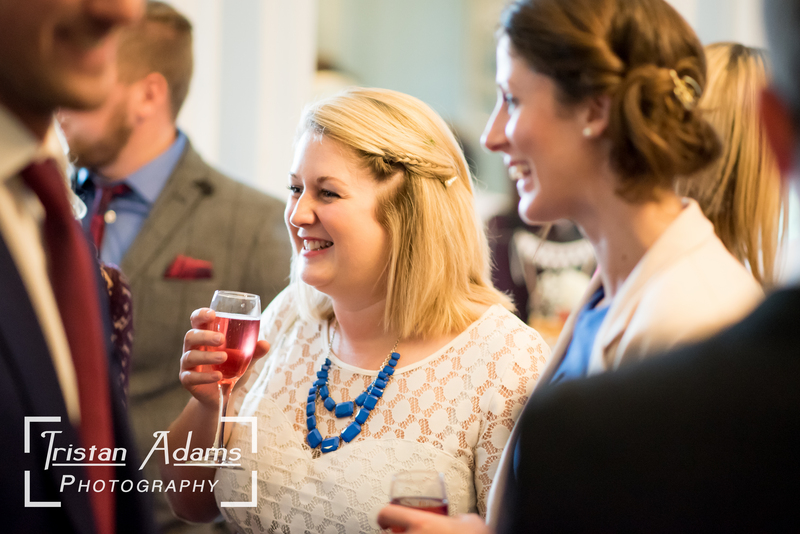 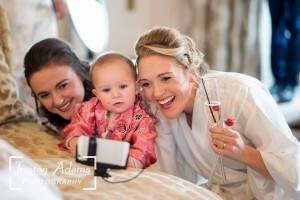 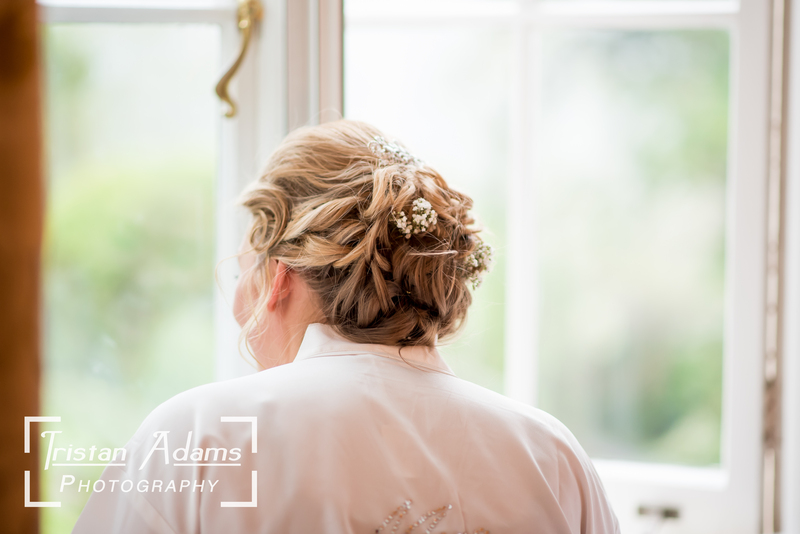 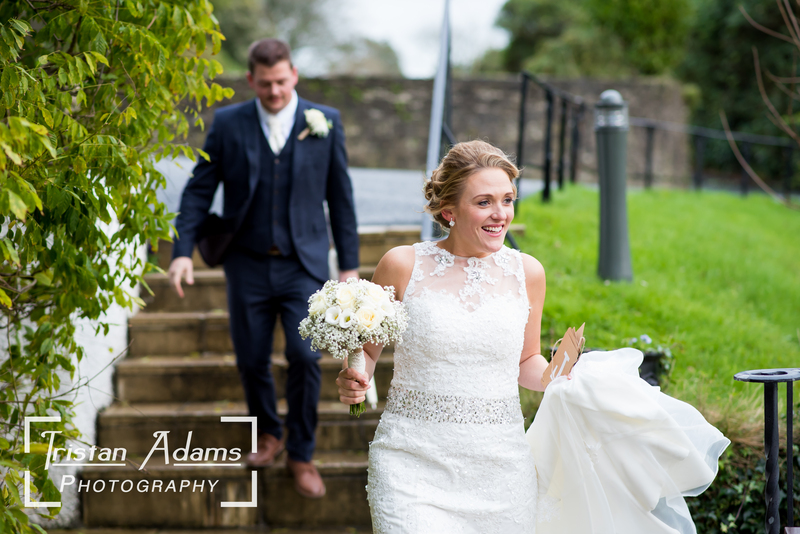 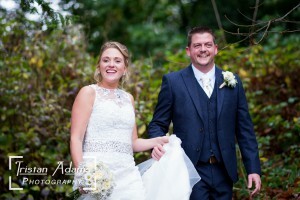 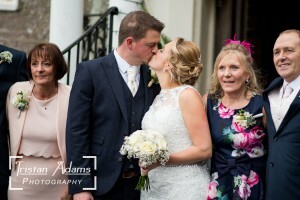 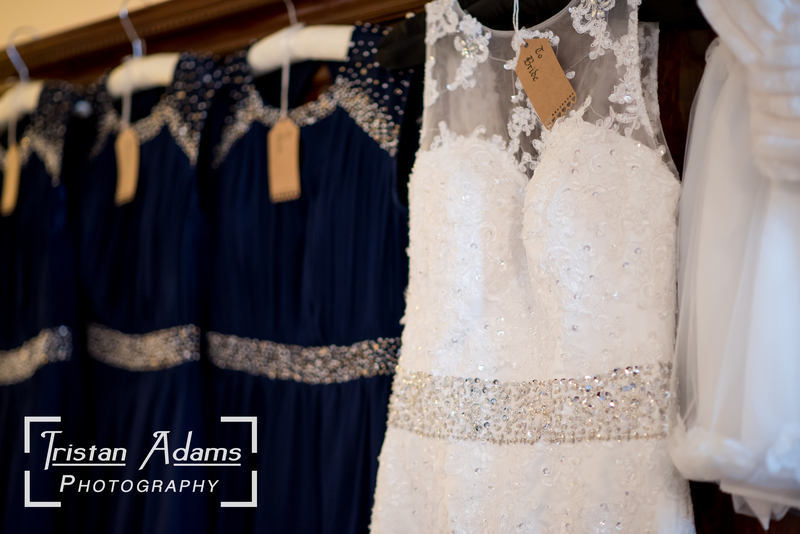 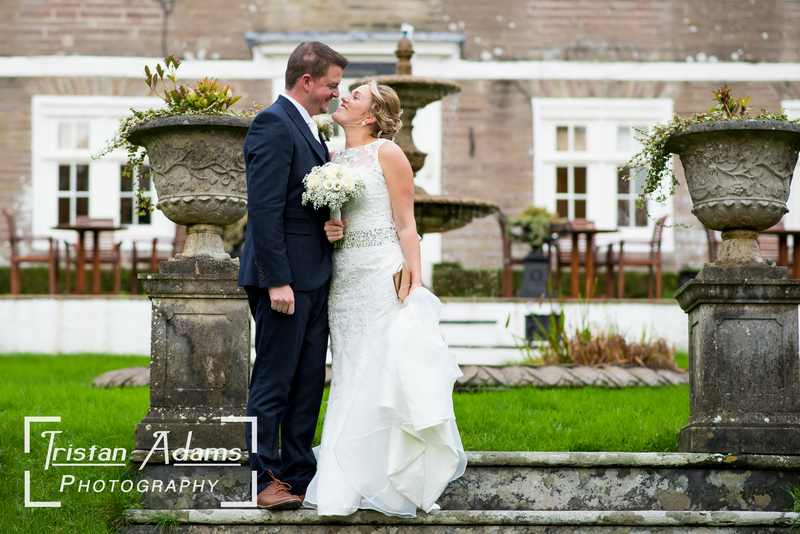 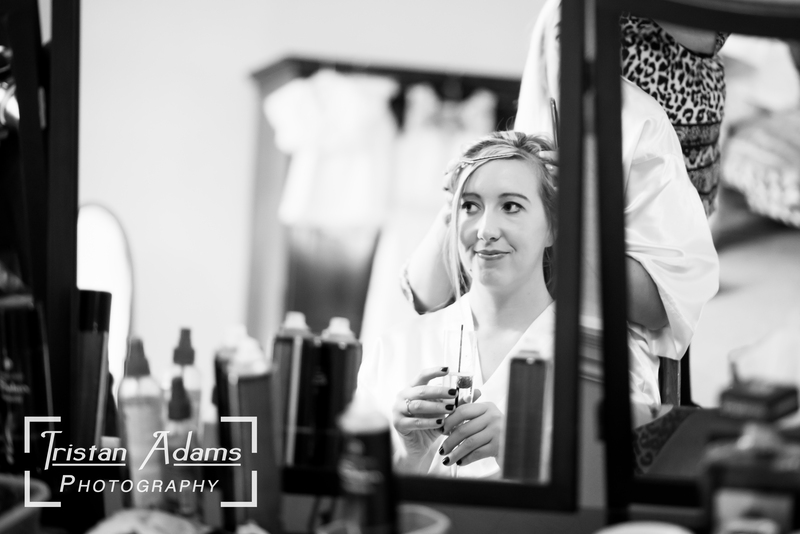 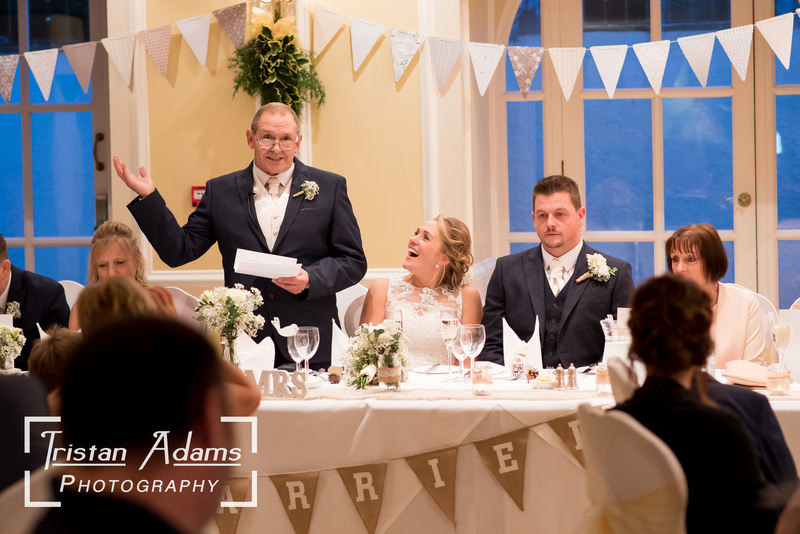 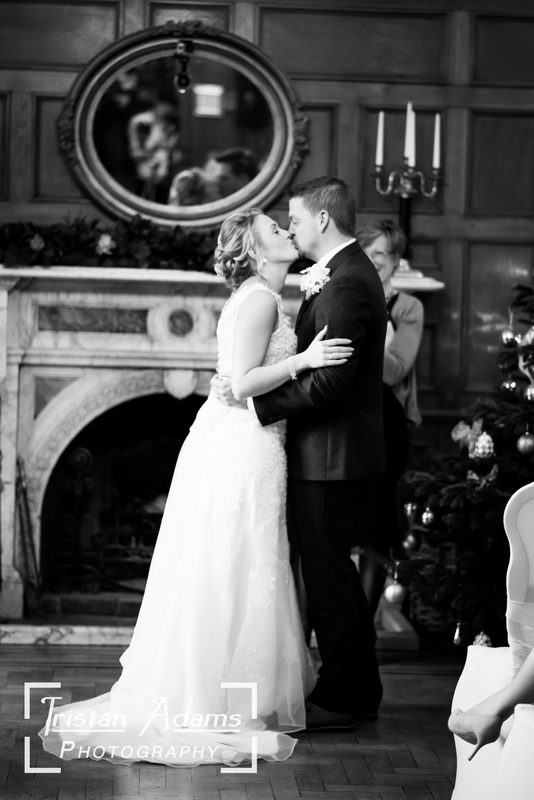 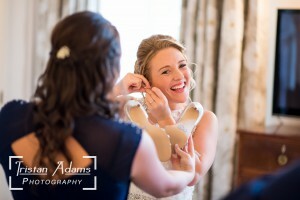 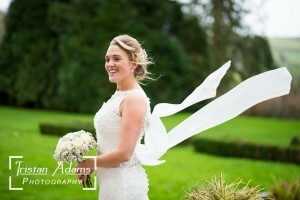 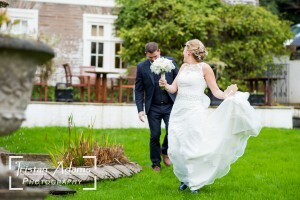 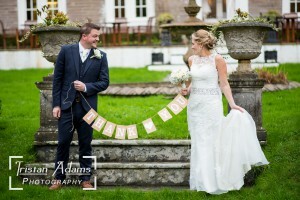 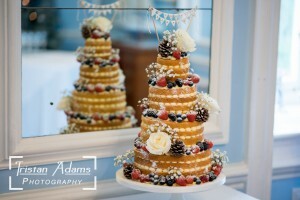 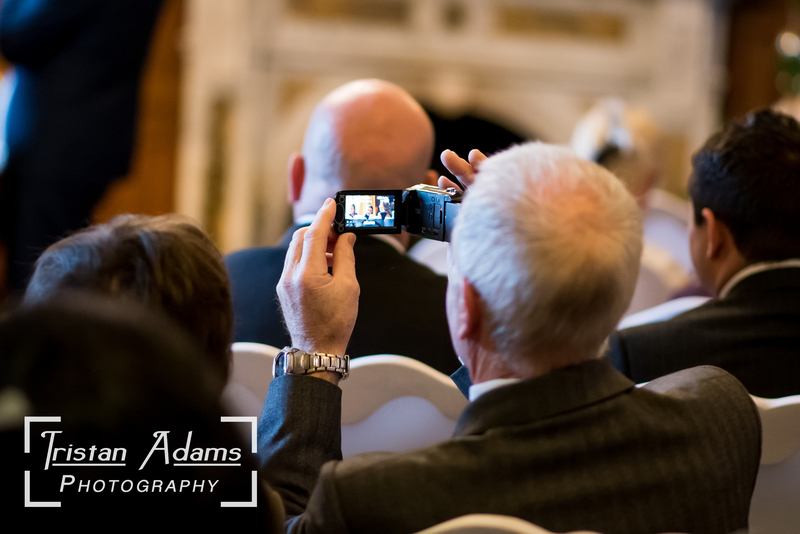 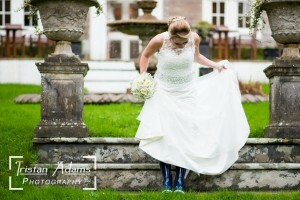 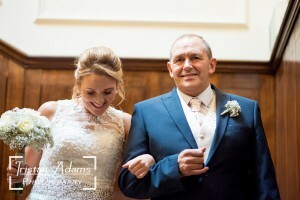 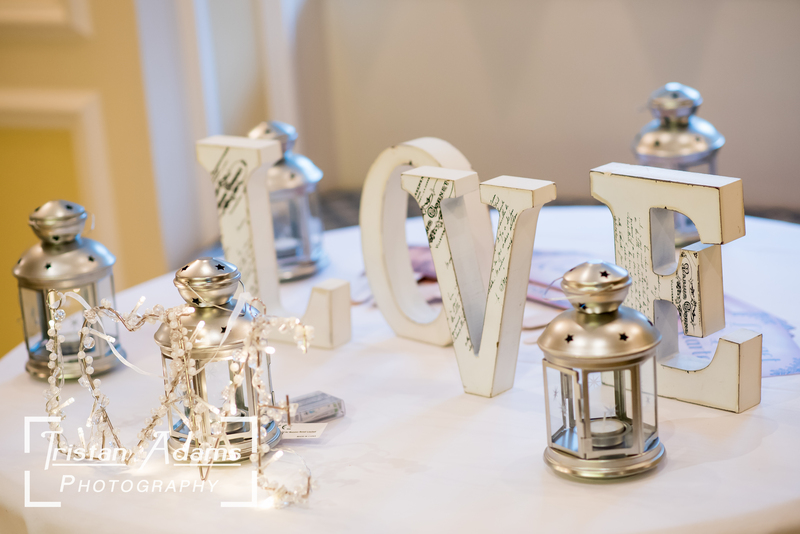 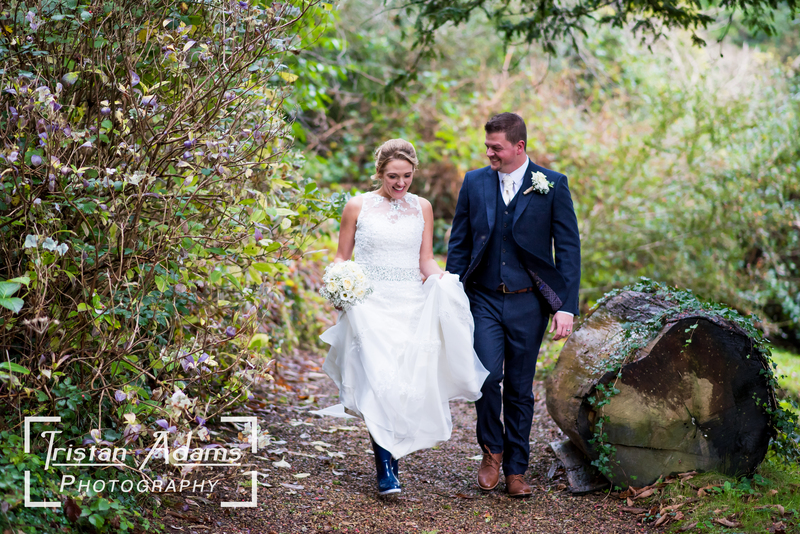 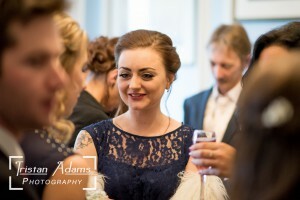 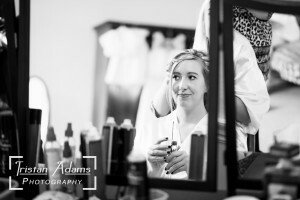 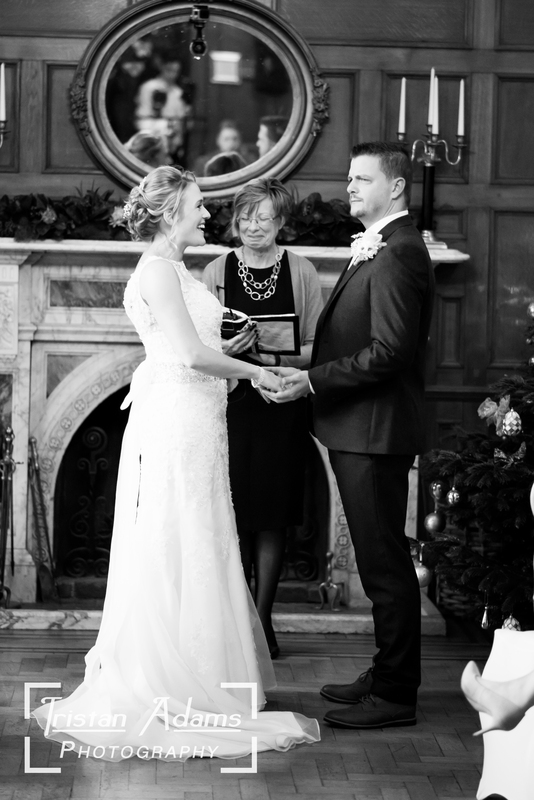 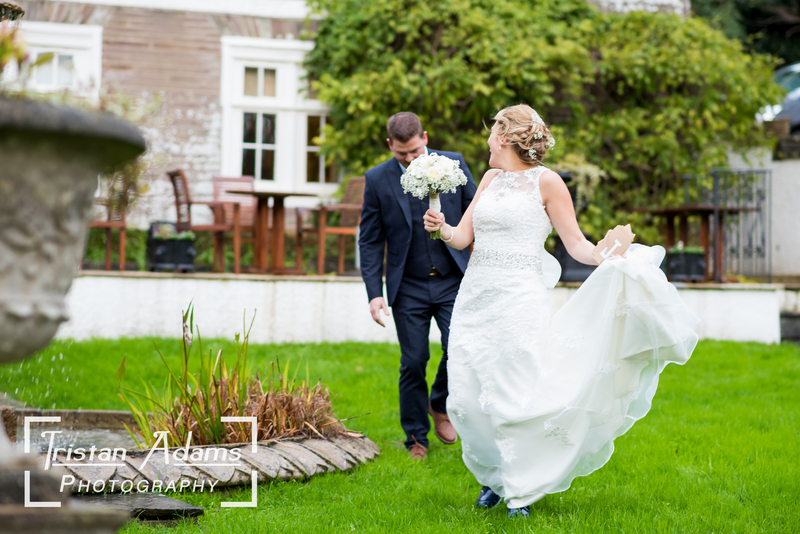 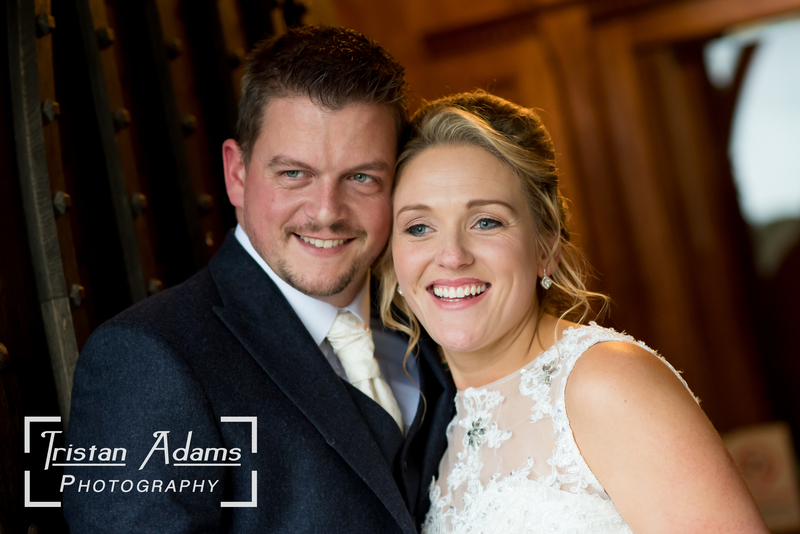 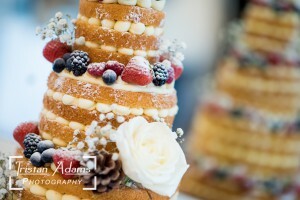 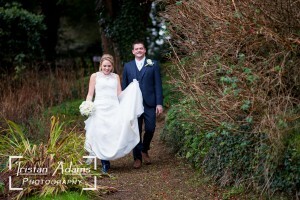 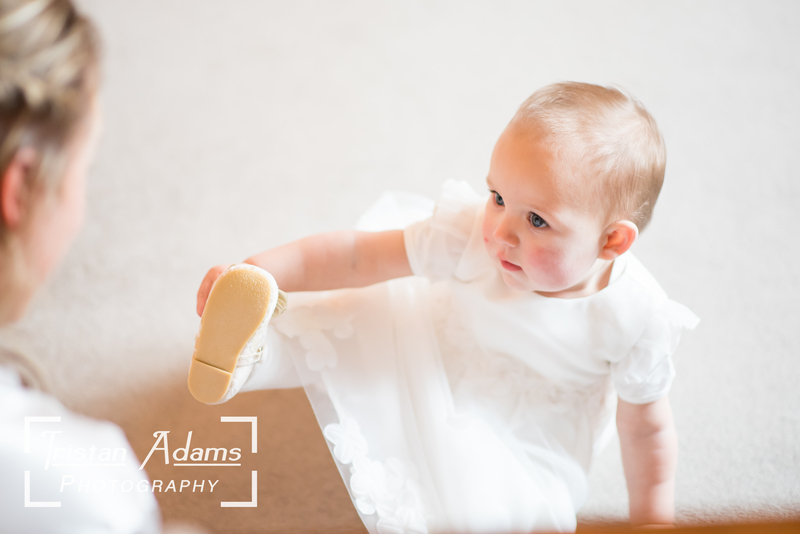 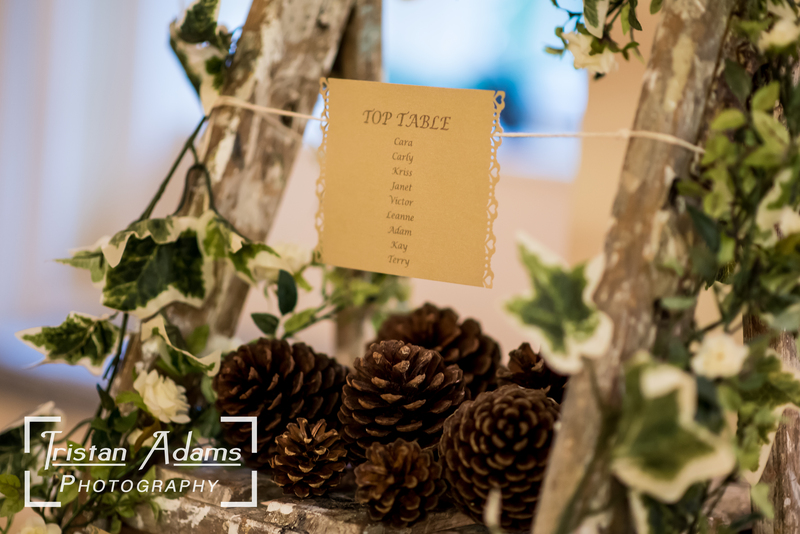 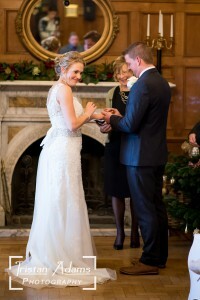 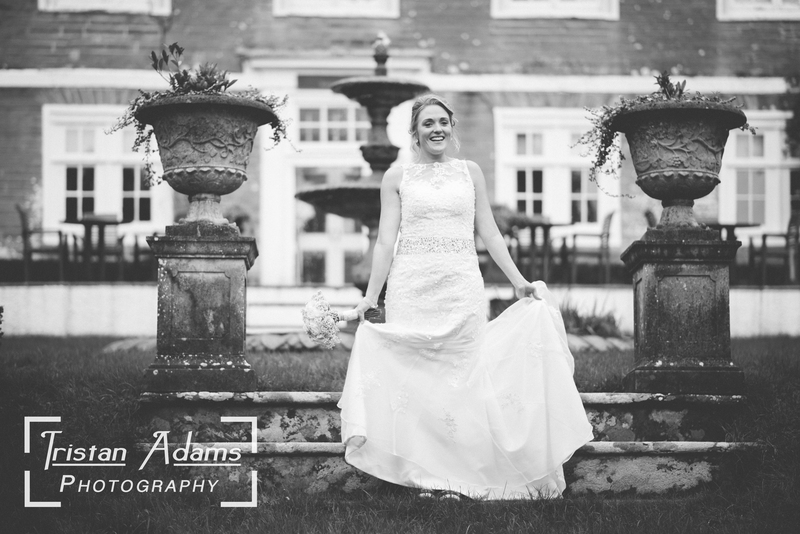 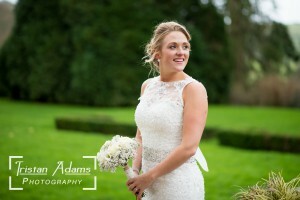 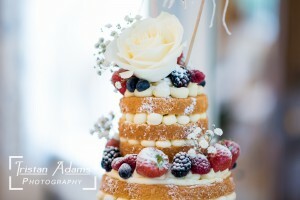 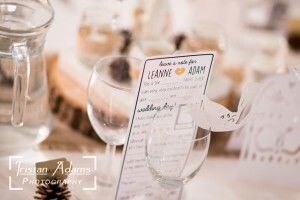 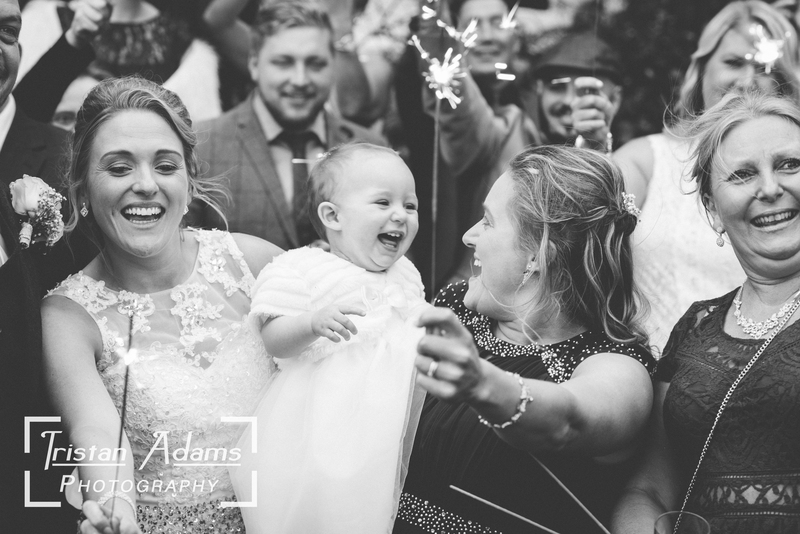 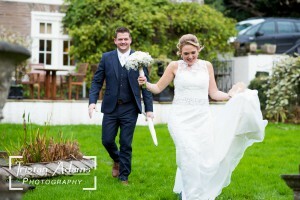 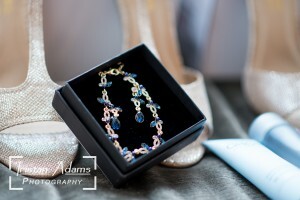 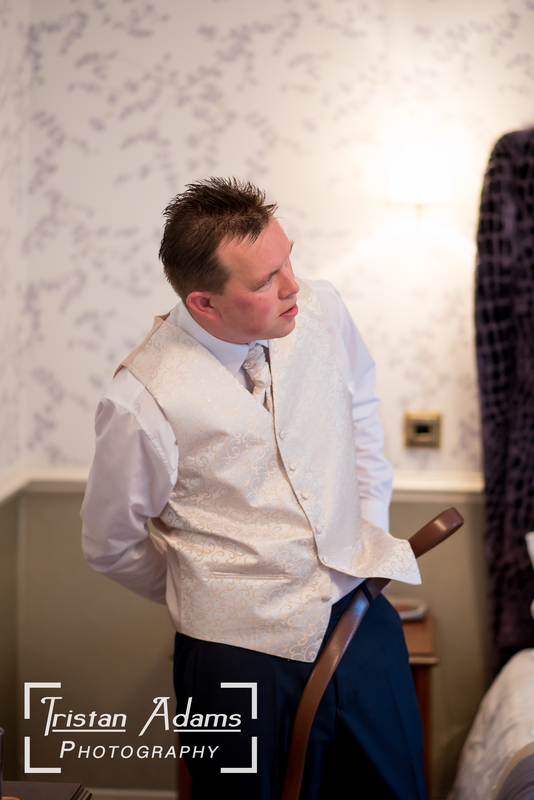 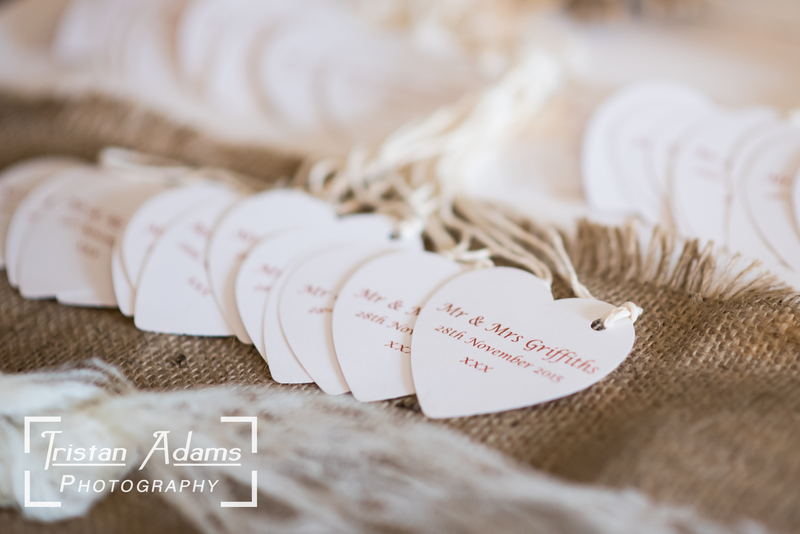 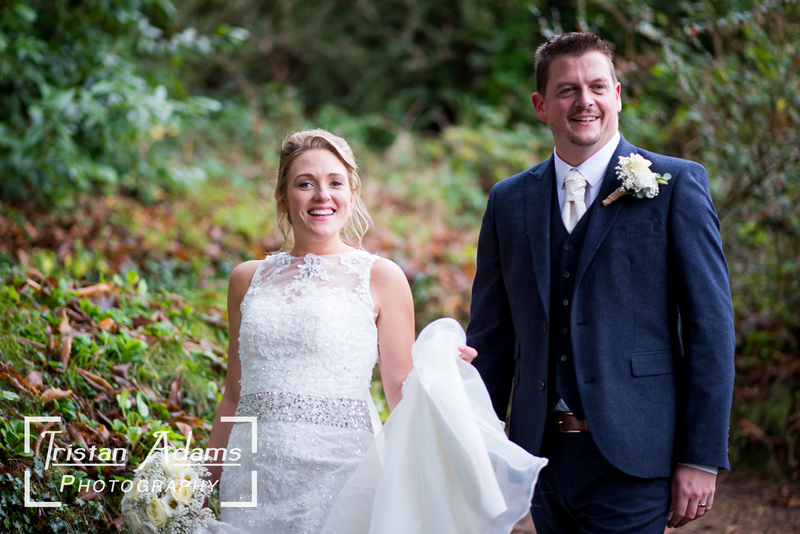 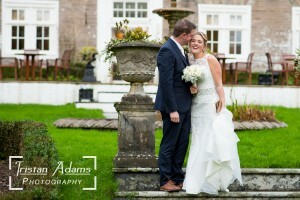 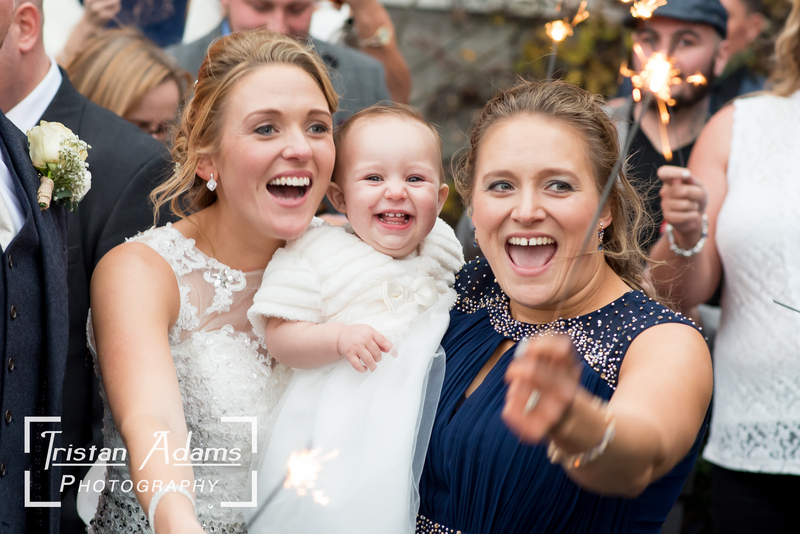 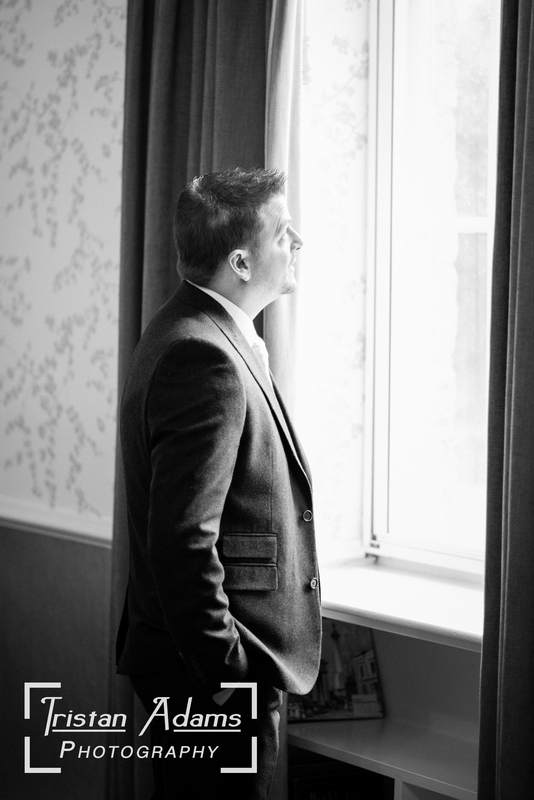 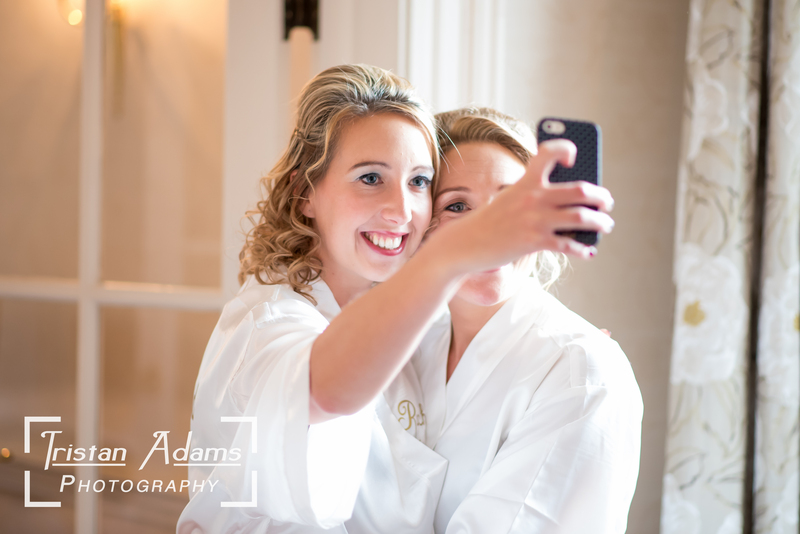 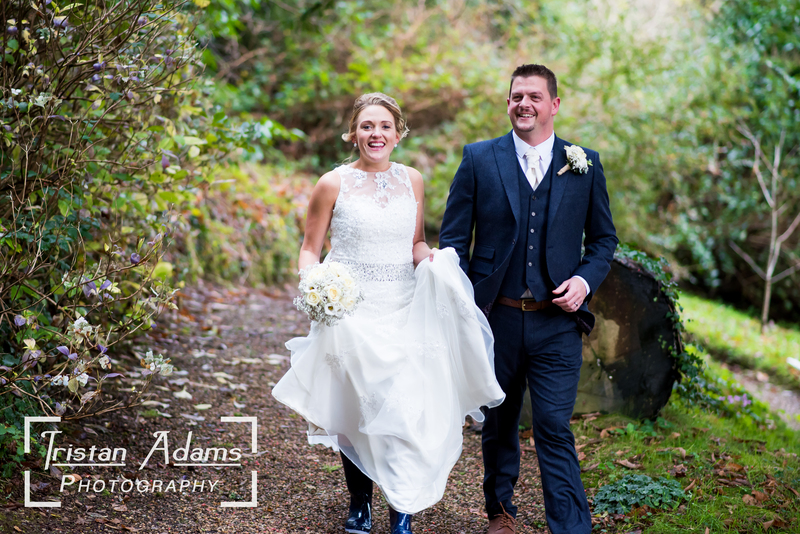 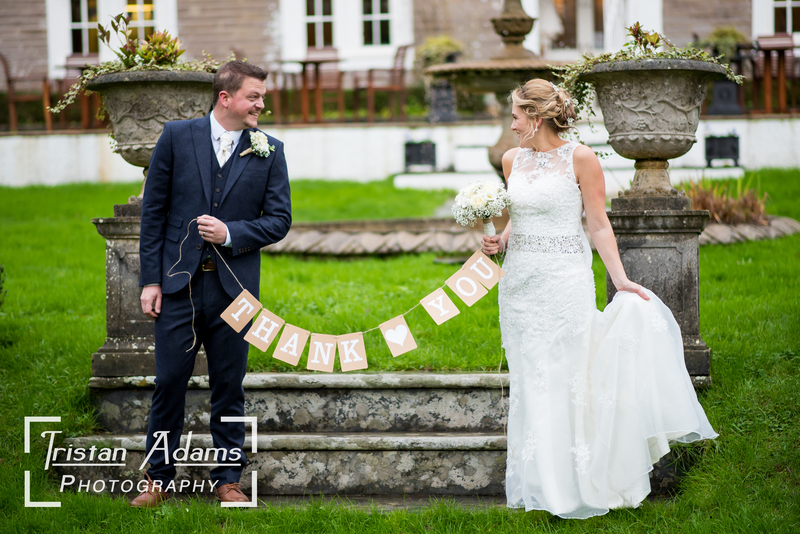 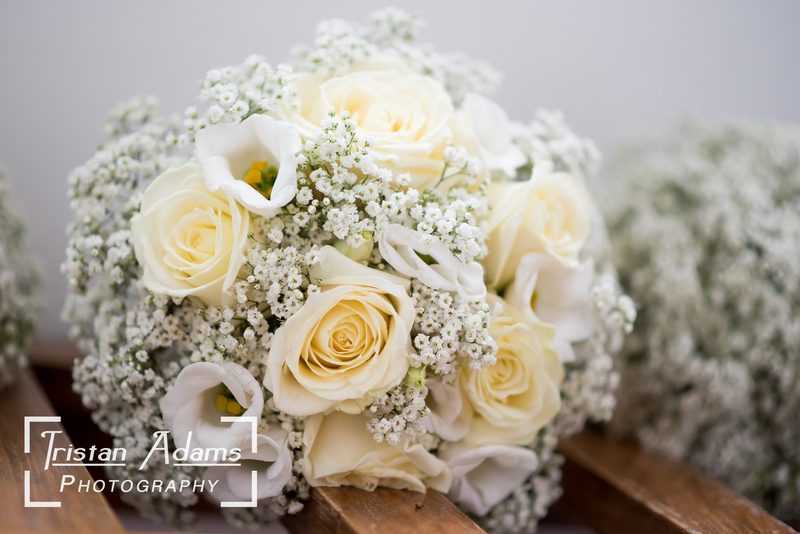 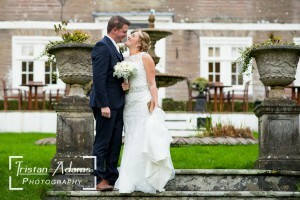 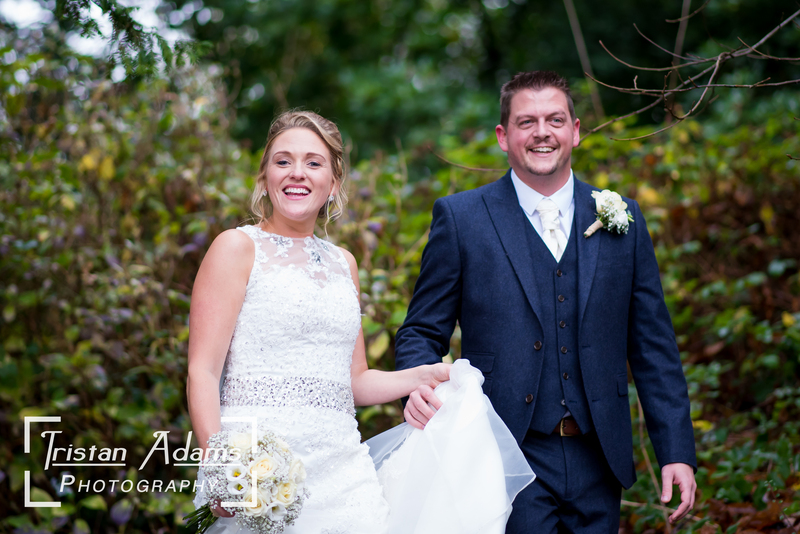 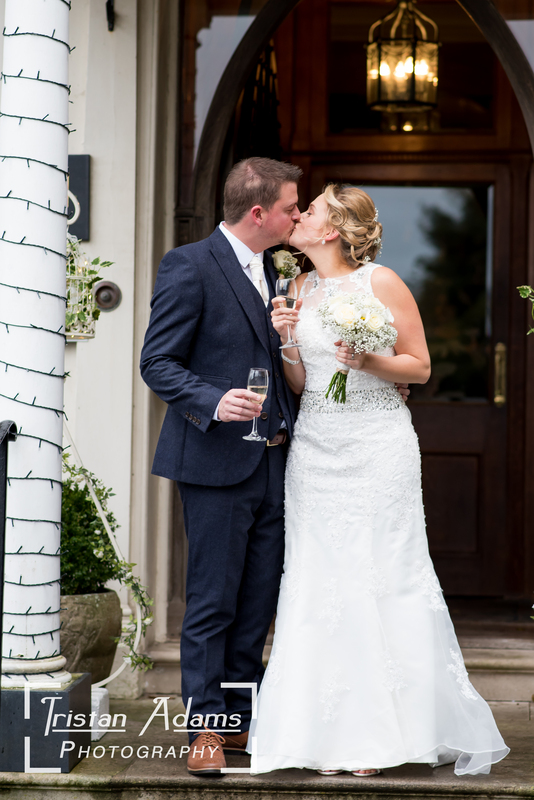 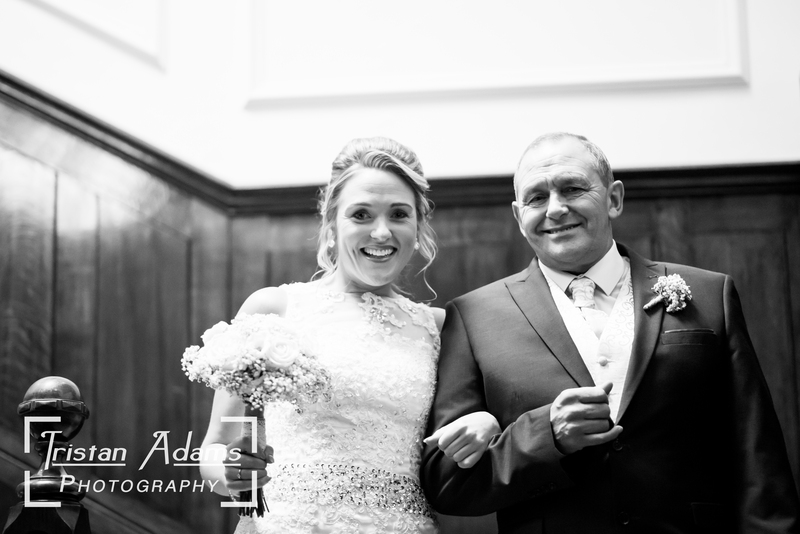 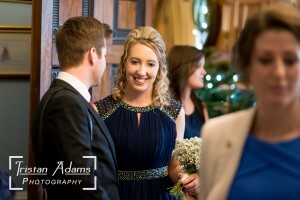 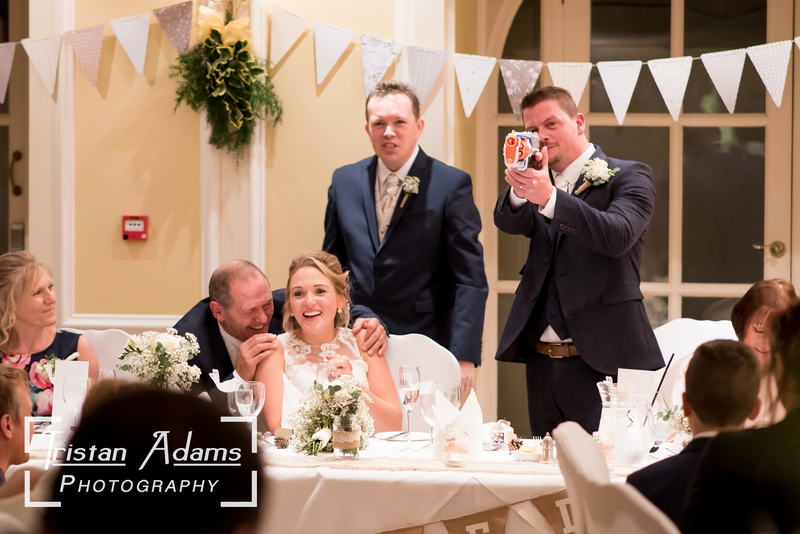 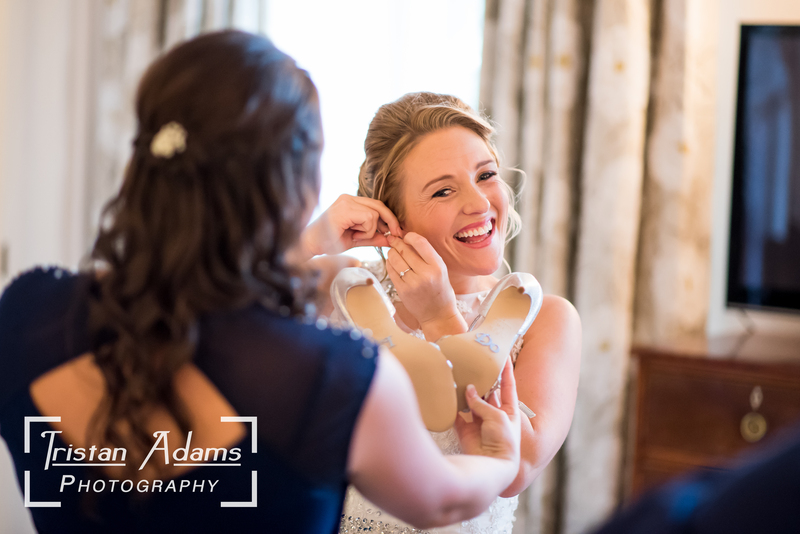 I went along with Mark from Evolve Photography to photograph Leanne and Adam’s wedding. 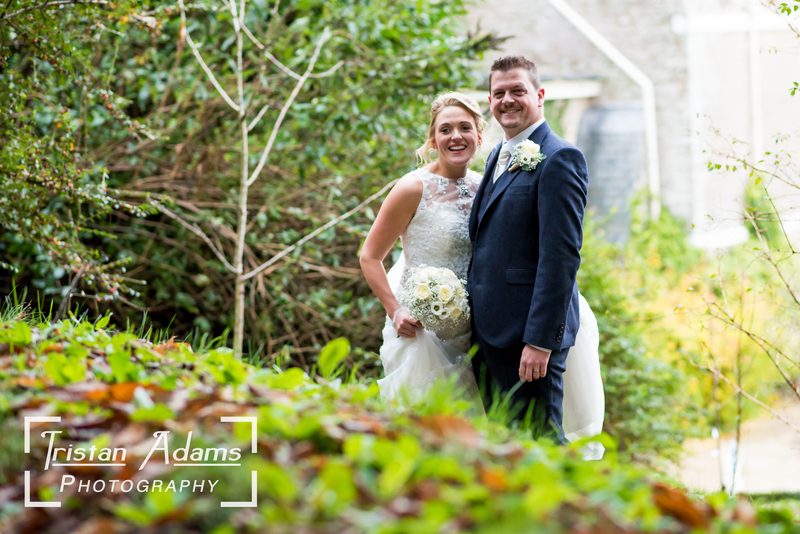 The wedding was held at the Buckland Tout-Saints. 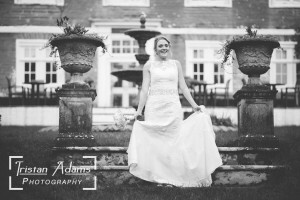 This luxury hotel is situated in the beautiful Devon South Hams. There was intermittent rain throughout the day, however there was a dry moment, giving us enough time to explore the hotel’s garden and compose stunning couples shots. 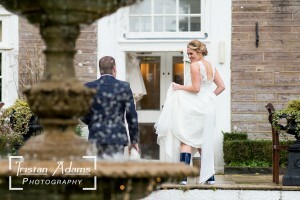 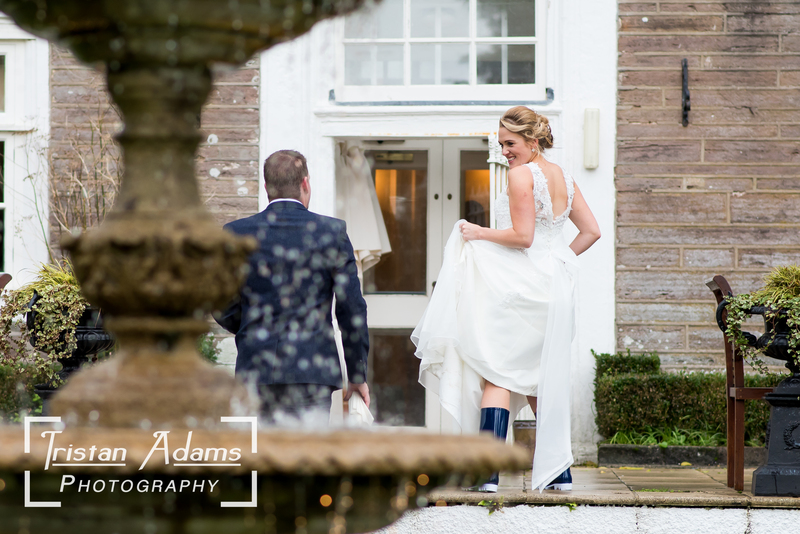 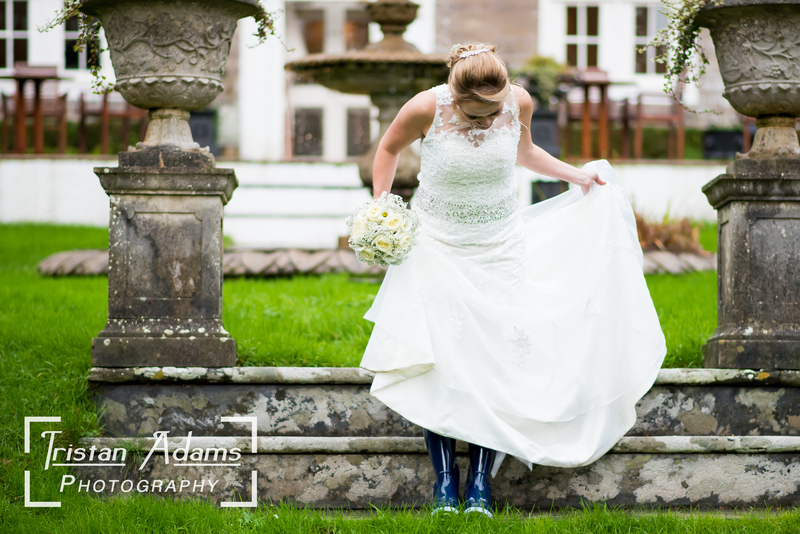 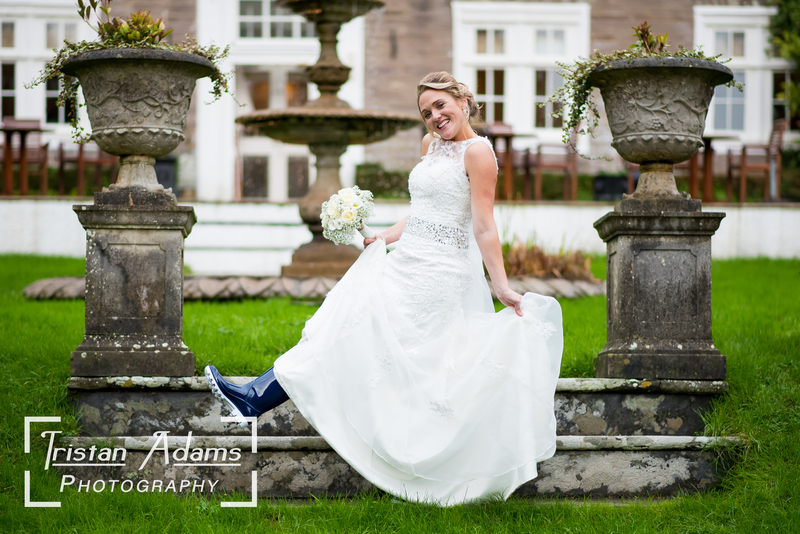 Leanne certainly had the right idea, bringing her own wellington boots, which made some great photographs out in the garden. 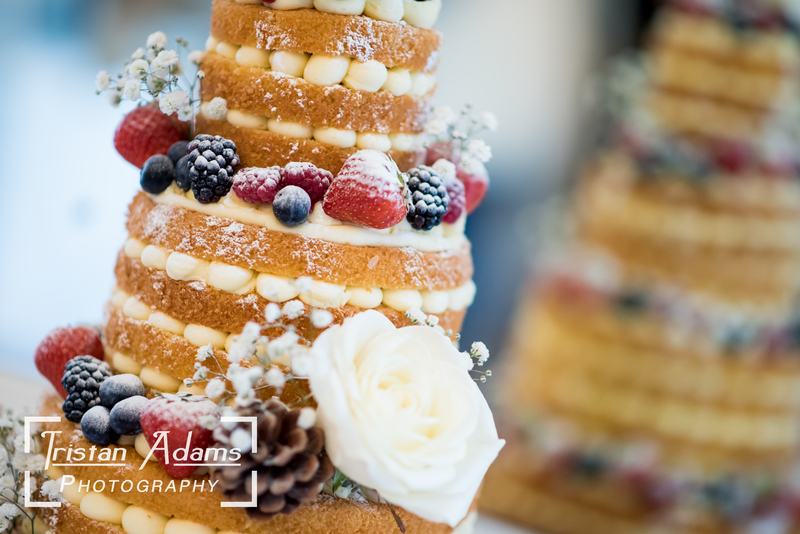 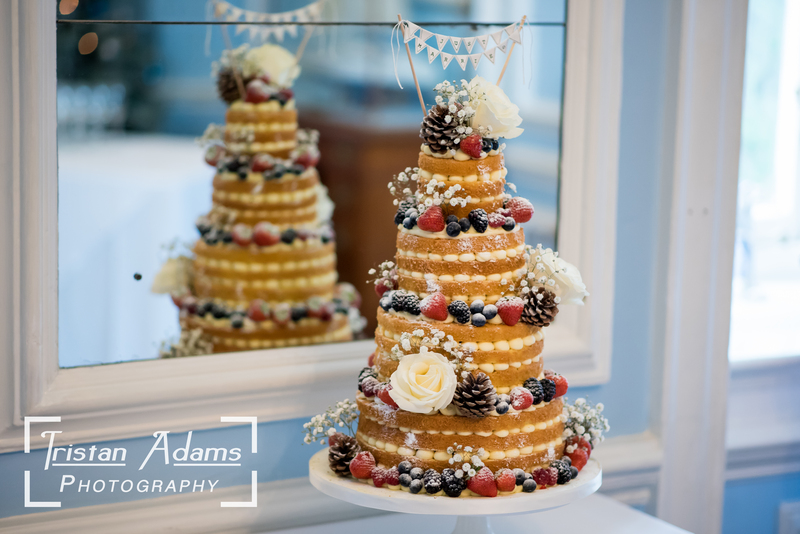 From the dining room decorations to the strawberries on the cake, every little detail about this wedding was planned to perfection.